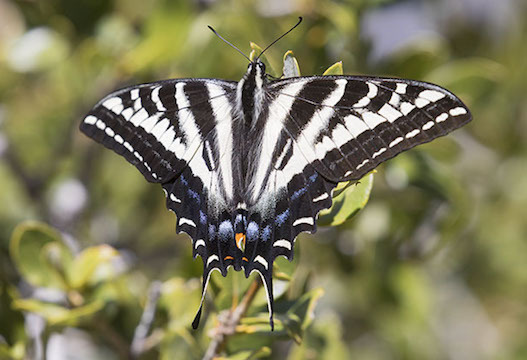 The pale swallowtail (or pallid swallowtail) is fairly common in much of western North America. 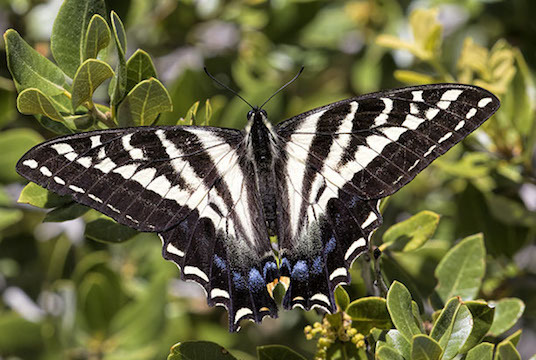 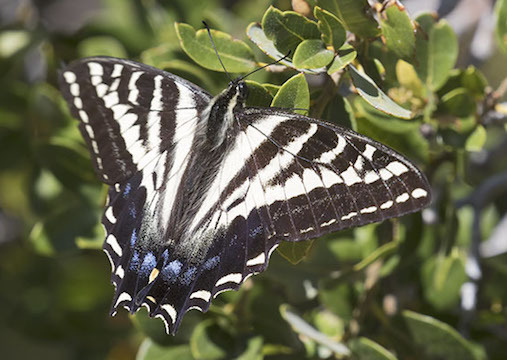 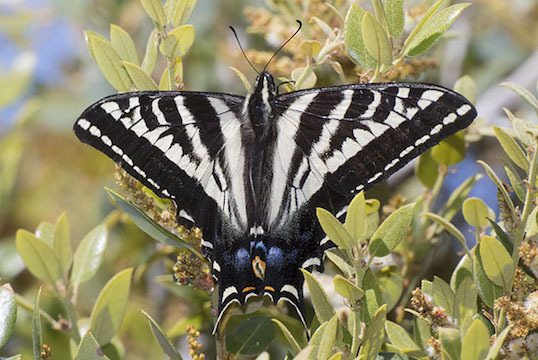 Its larger and more colorful -- but otherwise quite similar -- relative, the western tiger swallowtail (P. rutulus) is found in many of the same areas. 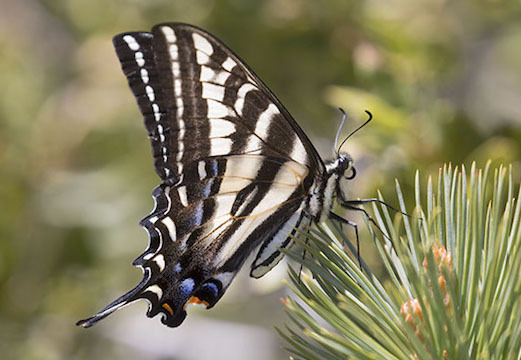 The photos were taken at the Black Mountain fire lookout in the San Jacinto Mountains of southern California.